Top picture of Andy Chester of Coos Bay, Oregon, with young hunter Robyn Gulseth with her first buck. 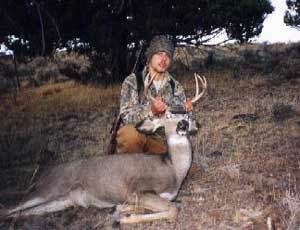 Below, Tucker Chester with his buck. Andy believes in getting young people of Oregon into hunting at an early age. Good work, Andy!